use of whatever is available to them and creating opportunities within the available time to excel in the current series while also preparing for the upcoming tougher battles in the overseas conditions, what with South Africa being the next immediate tour followed by visits to England and Australia next year. Speaking to the media on the eve of the second Test against Sri Lanka on Thursday, Kohli said the request was made to prepare pitches this series keeping South Africa in mind: “Yes, because unfortunately we get only two days before we fly to South Africa (in December end) after this series gets over. So, we have no choice but to be in game situation and think of what’s coming ahead of us. Had we got a month off ideally, we would have done a proper preparation in a camp sort of scenario but we have to sort of make do with what we have. As usual cramped for time, which I think we needed to assess in future as well because we very easily assess the team when go abroad but we don’t look at how many days we have got to prepare before we go to a particular place to play. Kohli also spoke about his magnificent unbeaten 104 that set up the first Test into an exciting finish, almost winning the match for India despite a lot of time lost due to rain and bad light. Kohli said that he looked at the positive things of his risk in the latter part of his 18th Test century, rather than the negative side. “At international level, you need to take risks. There is no safe game at the international level. You need an element of risk at all times. The magnitude of the risk depends on the situation that you are in. I was pretty comfortable taking risks. I knew I was thinking of the other side, not the negative side, ‘what if it comes off’. I was not thinking ‘what if it doesn’t come off’. Thinking matters a lot in such situations, and whatever you think, as they say, you end up achieving that. I back myself to do it and luckily it came off. “As a captain of the team, my job is to assess the situation at all times. It is not only left to my positions while batting or where the bat is coming from or where I am leaving the ball or where I am hitting it. It is also to keep a check on what is going on in the game. That is something I relish, I enjoy, having to do a lot of things at one time. There was an opportunity to find the right moment to actually change things around. That is something that you want to do as a cricketer. Very seldom do you get to make a difference in a Test match in a short span of time. I look forward to opportunities like that. Tamil Nadu all-rounder Vijay Shankar has been drafted into the second and third Tests as a replacement for Bhuvneshwar Kumar. Kohli spoke highly of the 26-year-old who has five centuries and taken 27 wickets in his 32 first-class games since debut in December 2012 at the same city, though at the old VCA Cricket Ground. Kohli said the team management was looking at grooming a second all-rounder after Hardik Pandya for overseas conditions. “He has been very consistent. He has earned his spot. We wanted to look at another all-rounder keeping in mind that’s a very important aspect of the team going forward. Obviously, Hardik is in our scheme of things as our first all-rounder. But we need to, obviously, find out more people who have that capability and whom we can groom and make as back-ups for all-rounder’s slot, which is very very crucial for us when we travel abroad. That is the whole idea of bringing him in and keeping him in the set up and making him familiar with what’s going on here and making him understand what he needs to work on and look at his game as well. 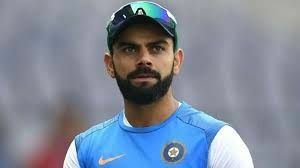 With two forced changes in the side, with Shikhar Dhawan and Bhuvneshwar not available, Kohli said it did not bother him and that it provided others a chance to “step in”. Kohli did not give a hint as to who would replace them, but indications are that Murali Vijay and pacer Ishant Sharma will walk into the side, which means that Shankar has to wait for his Test debut. The pitch, according to Kohli’s assessment, is “quite hard as it is usually is at Nagpur with a nice grass covering on it”. He reckoned that the fast bowlers should be in play for the first couple of days because of the bounce and the nice carry off it as well. “From there on, the spinners will come into play. It is a pretty good wicket for overall Test cricket, I feel,” he said. Even though the spinners have dominated the Tests at this VCA Stadium, Kohli said the past results don’t matter in selecting the final 11.